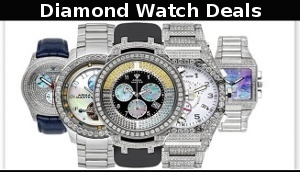 King Power is the toughest model in the Big Bang range of luxury watches from Hublot. 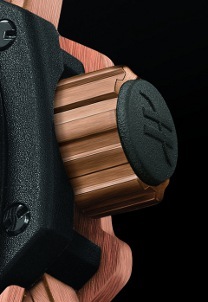 The King Power is a Big Bang with an even stronger, and more evolved design. It is a timepiece with a complex dial made of several layers in a powerful and beautiful concept, containing a split-seconds Foudroyante chronograph movement. The King Power is a luxury watch with an risky and robust design, there is hints to its traditional design of the Big Bang series of watches from Hublot with a dash of modern flare. Every component have been redesigned from the case which has been shaped with sharp angles and straight sides and features raised end pieces and screws. The case edge itself, now has the push pieces that are more prominent and features decorative tubes inserted in the black composite resin. Rubber molding around the ceramic gives the bezel a new look and the dial is now made of several layers with ten extra indicators in addition to the powerful black index markers. The Chronograph and Foudroyante hands are now made on two levels, with two different types of finish. The helicoid shape of the Foudroyante gives it a fluid movement, this is a signature of the King Power collection. 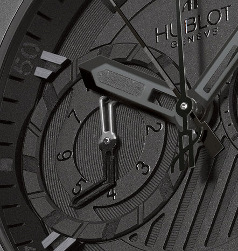 The Hublot King Power’s rubber strap features an embossed cut-out which gives it a great look, and with the new design the clasp is made of ceramic. 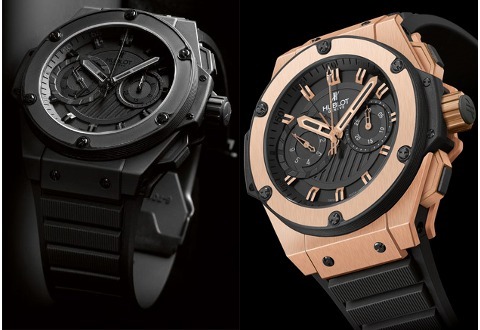 The Hublot King Power exudes the qualities of its original design, and does the job in combining both the aura of power and the feeling of luxury. The Hublot King Power is available in many colors and trims.